One of the biggest things right now potential punters are overlooking when it comes to legal sports betting is the opportunity not only for online betting, but also for prop bets and real-time bets. Look at a market where betting is already legal, like Europe. There are kiosks all over London. You can bet in-stadium and certainly on your phone. A big part of that is real-time betting. In fact, up to 70 percent of the bets in Europe are prop bets. Here in the US, we think of sports gambling as betting the line, or the spread, moneyline, or over-under — all things that are determined ahead of time by very smart sportsbooks which try to get equal weight on both sides so they can take their 10 percent cut. The vig, as you would call it. This is now the old model. Think about the newspaper industry for a second — how the news cycle revolved around a newspaper getting printed at 2:00 AM, or even 12:30 AM. So a writer on deadline would have to get something in by midnight to make press for the morning. There was a defined deadline, a preset window for how long the content would be fresh, and that was it. Obviously that model is painfully stale now. The web has not only knocked down walls and barriers, but it has also enabled instantaneous, even live coverage of events, either worthy or otherwise. The immediacy, more than the delivery, has changed news. Now, graft that construct onto sports betting. 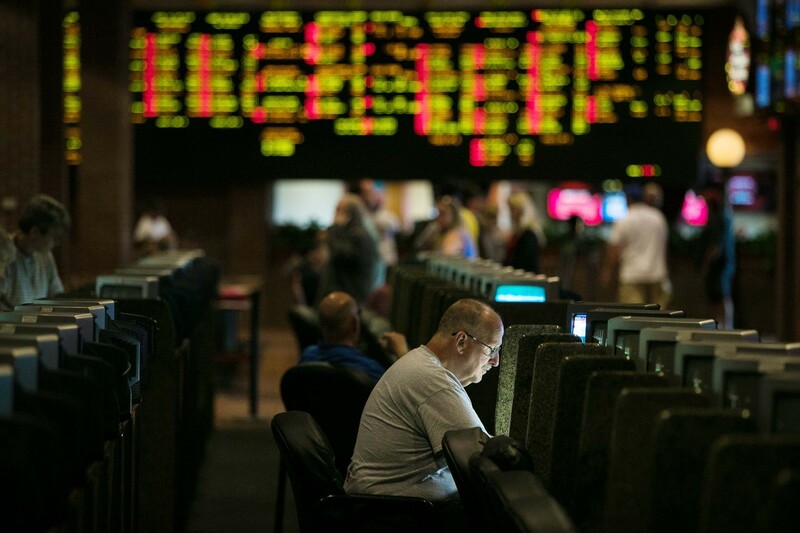 Spreads, moneylines and over-unders are the canonical betting options because the in-person sportsbook and neighborhood bookie alike had to book their business prior to an event. Half-based betting and props have existed for some time, but not at any real scale, because the sheer logistics of handling that volume of bets was ultimately limited by man-power and, literally, time. This dynamic played out in fantasy sports. First came rotisserie baseball, where a league commissioner hand-compiled stats over the course of a season. There was no way to efficiently measure those numbers or do it on a more narrow interval. Then came weekly fantasy sports, enabled by the web itself where the likes of Yahoo and ESPN could run a league and allow for head-to-head play on a weekly basis, with instantaneous stats. Now it’s daily fantasy sports, where you can play just single time slot, like the 4 p.m. NFL games or 10 p.m. NBA games, with a thousand people all across the country, from your phone. Literally, you can wager $1,0000 (or more) with the push of your thumb. Apply that progression to sports betting and you’ll see where I’m going. Spread and moneyline bets are, at best, akin to the weekly fantasy leagues. Sure, they remain fun, but a subset of players are “out” by Week 6, just as you are if you have the under of 200 in an NBA game that is 75–75 at the half. Setting aside the financial aspects of it, betting more frequently, in narrower intervals, is more… well, fun. The sportsbooks know this from Europe, and soccer is a relatively difficult sport in which to quantifiably measure actions. But think about the NBA, or NFL, or MLB — how many events happen during the course of those games? Thousands. Throw in college sports, multiply by event, and oh wow do you have unlimited possibilities. From a punter standpoint, it’s more fun…more, shall I say, addictive. From a sportsbook standpoint it presents more opportunity for profit, while at the same time allowing them to instantly weigh risk. Say nothing of decentralized, binary options betting. But that comes later. From a league and TV standpoint, this sort of thing keeps people tuned in longer. As much as traditional betting and daily fantasy sports do this, think about how you often know long before an event is over if you won or lost. Micro bets allow you to keep playing right up until the buzzer. There are moral and ethical complications here, and the genuine risk for addiction, that I won’t get in to, other than to say that real-time prop bets will most likely have much lower caps and be more of a form of entertainment than investment or degeneratery. That’s how legal sports betting changes the paradigm. Casinos and sportsbooks are just fine, and they’ll get a boost because of this. But the real opportunity lies in mobile betting, and more specifically, real-time betting. And that’s before we even talk about how, theoretically, the streaming broadcast partner can offer action right inside the game. For more on legal sports betting, including guides on where and how you can lay action in New Jersey and Delaware, visit CrossingBroad.com/sports-betting. Crossing Broad: Philly's most irreverent sports blog. Spittin' truth since 2009.